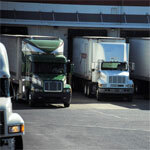 Loading & unloading products with conventional portable dock plates at the dock can lead to chronic workplace injuries. The design of outdated portable dock plates can result in dock shocks and body vibrations resulting in chronic neck and body injuries, and product spills and equipment damage. To avoid these conditions, it’s important to invest in high-quality and built-to-last dock levelers with smooth transition designs. 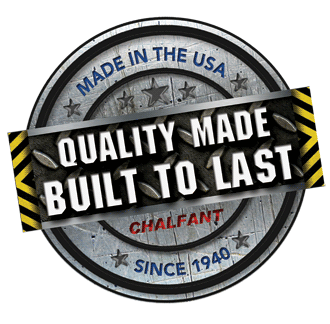 Recognized as a leading dock equipment manufacturer, at Chalfant Sewing Fabricators Inc, we strive for innovation in our products. We offer dock levelers that are designed for performance—helping create a more productive and safer workplace. We take pride in the fact that our dock levelers have meet standards in the industry for durability, performance, ease of operation and safety. If you’re looking for a fully hydraulic dock leveler with advanced features, then Series H1 is your best bet. 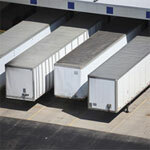 It is designed for performance and offers unmatched dock safety. Featuring frame support struts; H1 dock leveler is perhaps the safest and strongest leveler you can find in the industry. Its 4” main cylinder and 2” ram offers inline-safety stop. 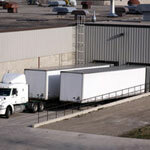 This provides protection against free-fall that may occur due to unscheduled and early truck departures. On the other hand, the C channel extends tremendous deck support and greater resistance. Another feature that is unique to the H1 series is the solid state proximity sensor which helps control all dock leveler functions. Series H2 have hydraulically-operated lips and decks that help with both efficient and smooth dock leveler operation. The lip levelers act like night locks, providing security and safe cross traffic support. If you’re looking for a air-bag, air powered dock leveler with advanced features, then the Air Power Series Dock Leveler is your best bet. Featuring frame support struts, rotary switch control box, grease fittings on lip hinge, lip keepers serve as night locks for security and provide cross-traffic support when unit is stored. 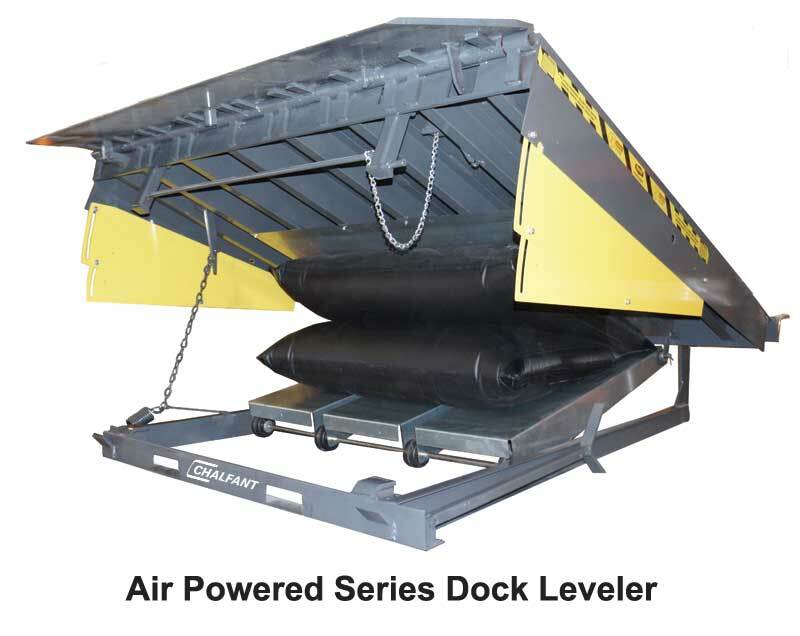 The Air Power Series Dock Leveler offers strength, ease of operation and affordability. The air operated system provides smooth, efficient operation of the dock leveler. Deck and the lip are constructed of 55,000 lb. minimum yield steel tread plate. Extra heavy rear angle with strategically placed gussets provides maximum structural support and frame strength. 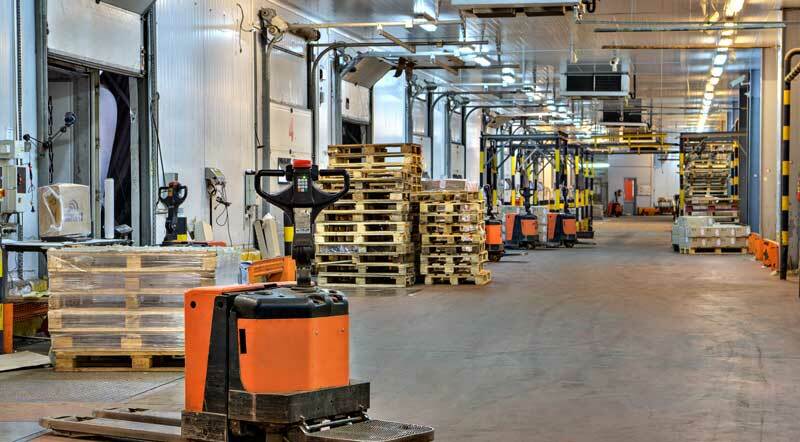 Manually activated, the MPL mechanical dock levelers use extension-spring counterbalance and pull chain operations. In other words, no straining or lifting is required. 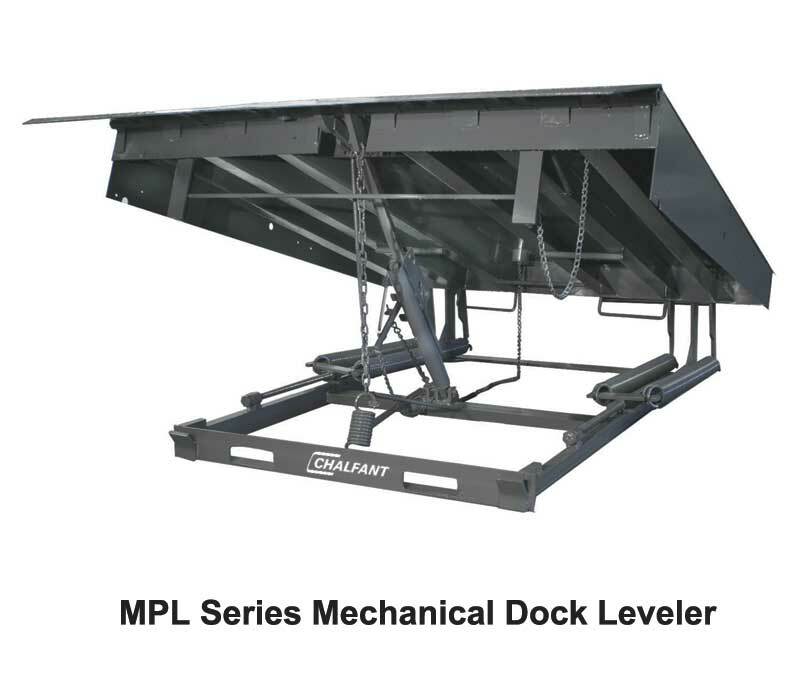 MPL mechanical dock levelers are available in different capacities and in both 18” and 20” lip options. For unmatched support and strength, these levelers offer dual 60,000 lb. safety legs. In MPL, mechanical dock levelers lip and deck are constructed of 55,000 lb. minimum yield steel tread plate. 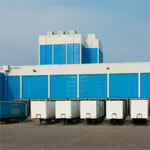 Though this series shares similar features to the MPL series, what makes it different is its dynamic capacity. 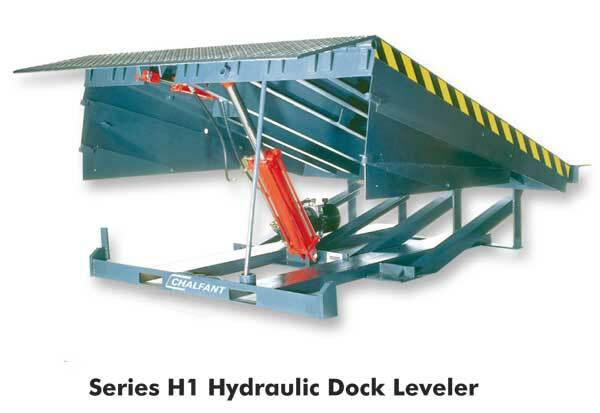 The Series C dock leveler is available in two dynamic capacities such as 25,000 & 30,000 lb. while the lip and deck are constructed of 55,000 lb. minimum yield steel tread plate. 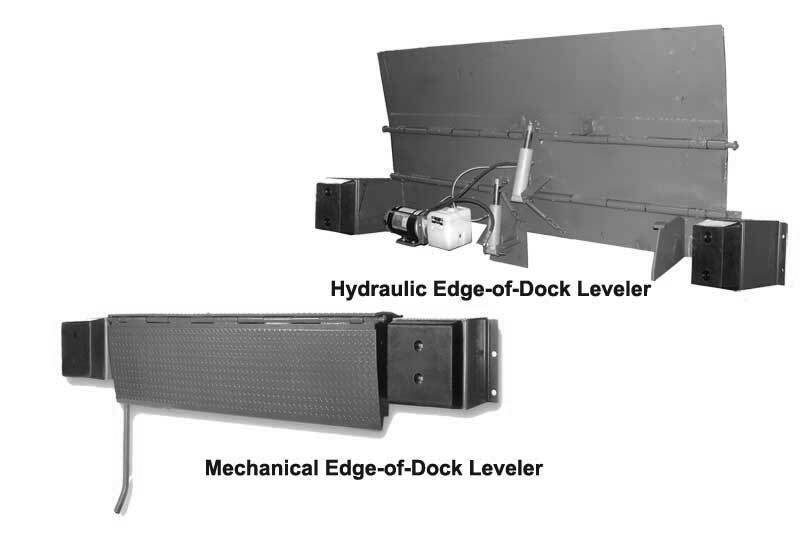 Available in both mechanical and hydraulic models, the edge of dock levelers are economical and best for applications that don’t support the installation of pit style levelers. 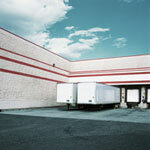 They are a safer choice when compared to dock plates. Additionally, they are also ergonomically efficient. Embedded with solid-state technology, hydraulic edge of dock levelers offer convenience and quality similar to hydraulic dock levelers but are available at competitive prices. They are super easy to use and are available in various dynamic capacities such as 20000, 25000, 30,000 and even 35000lb. If you’re looking for an economical, low-maintenance, easy to operate and durable dock leveler with dynamic ramp capacities, then look no further. Simply position the bar, pull it back and down and just push the bar in the forward direction. This act will extend the lip. It’s as easy as it can be.